MonroeTalks.com > Categories > Miscellaneous > HAPPY 241ST ARMY BIRTHDAY! I am proud to have served my time in the United States Army!!! Below is the 'traditional' Army 'song' followed by an add on that interesting enough even mentions Custer! 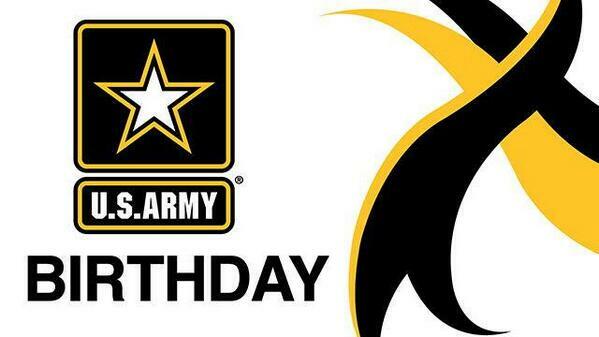 Re: HAPPY 241ST ARMY BIRTHDAY! I don't have any shirts although I do have a couple of hats. well it certainly wasn't one from my Army days. Had the neighbor kid grab me one a few years ago. Although i do have a couple of sets of green fatigues...One pair all starched up yet. Re: HAPPY 243RD ARMY BIRTHDAY! For all our US Army veterans and active duty men and women!